It is exciting to have a home built just for you. But most people are unfamiliar with owner builder home loans. Mortgage loans for new construction are a different animal, and if you want to build your home, it is smart to learn about this unique mortgage process. Construction to permanent: This is where you borrow to pay for the construction of the new home. When you move in, the mortgage lender switches the loan balance into a regular 15 or 30-year mortgage. It is essentially two loans in one. Stand alone construction: The first mortgage loan funds construction. When you move into your home, you get a loan to pay off the debt for the construction. You have two loans. One of the major advantages of a construction to permanent loan is that you only have one set of closing costs. This reduces your out of pocket expenses for building a new home. During the construction of your home, you will pay interest only on the outstanding balance of the loan. 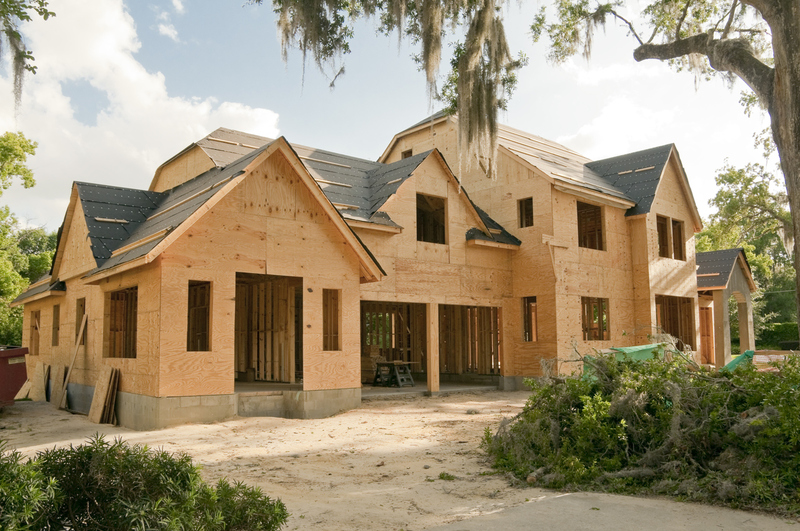 The interest rate that you pay is variable during the construction process. It will move up or down with the prime rate. If the Fed decides to raise or decrease short term interest rates while your home is being build, your rate will change. The lender will switch the construction loan to a permanent home loan after your contractor is done with construction. The permanent home loan is just like a mortgage for an existing home. You can get a fixed rate or adjustable rate and choose either a 15 year or 30 year term. Many mortgage lenders will allow you to lock in a maximum interest rate for the mortgage when you start construction. Lenders normally want a 20% down payment of whatever the expected amount of the mortgage will be when construction is over. A stand alone construction loan can be a good choice for some people if it lets you make a smaller down payment. This can really help the person who has a home already and does not have enough cash for a big down payment as your current home is not sold. You can live in your current home while your new home is being built. You will pay two sets of closing costs and two sets of lending fees. You have to pay for these on the construction loan and then on the regular mortgage when construction is over. You will not be able to lock in a maximum mortgage rate. If rates go up during the construction phase, you may need to pay a higher rate on your permanent mortgage loan. If your finances change during the construction process, you could find it hard to get a mortgage. It is important to remember when you get a loan to build your home, the lender does not have a finished home as collateral. So, getting a loan can be more challenging for some borrowers. The lender will want to see details about the size of the home, the materials that are going to be used and also information about the contractors doing the construction. Any good contractor will be able to provide the lender with the information they need. Also, the lender wants to know that you are able to make loan payments during the construction phase. If the lender is not sure that you can pay your current mortgage or rent while the home is being constructed, you may not get the loan. The lender will need to ensure that you have enough savings to pay for any unanticipated costs during construction. There are usually cost overruns with a construction project that you may not know about until they occur. Lenders do not want you to be using your last penny to get the home built. It is common for cost overruns to happen if the borrower changes his or her mind about what they want as the construction process is ongoing. A key aspect of building a home is selecting the right builder. You should find one that has built the type of home that you want as far as style, price and size. It is recommended to look at the credentials of the builder with your local homebuilders association. Ask for references from earlier clients. Also, check with the BBB to see if there are any complaints against that builder. Lenders will want to do inspections during the construction process to ensure that everything is going as expected. The lender will pay the builder in several draws or stages. Building your own home is exciting, but the loan process can be complex. With the above information, you should be able to have your home building and loan process go more smoothly.